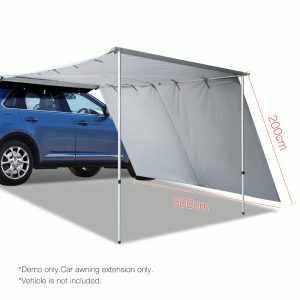 Perfect for a big family day out or a group of friends camping day, this 3m car awning extension would be a great addition to have everyone chill and relax under the shade on a hot sunny day. 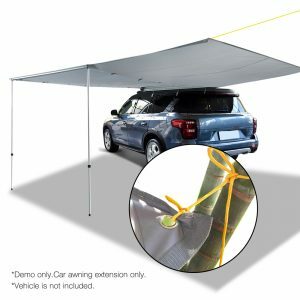 Designed with Velcro strap, you can just easily strap it with your existing car awning struts and secure it to the ground using the strings and pegs supplied to open it out, creating more shade area. 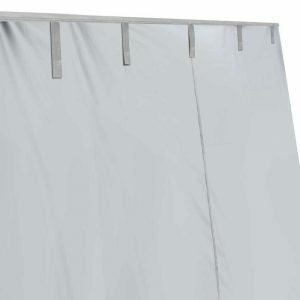 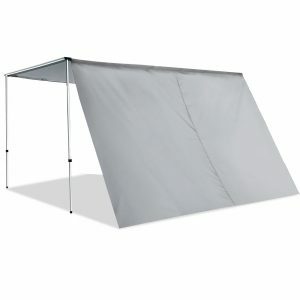 Perfect for camping, picnics or a sunny day at the beach, this awning is just right; whether it’s a sunny or raining day, you don’t have to worry anymore. 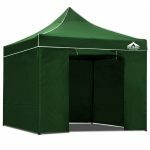 Take this awning extension with you, and continue enjoy the great outdoors! 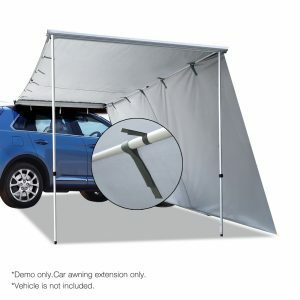 Note: This is for car awning extension Only.